These outfit pics were taken by my mum … we walked through the forest where I used to play when I was a child. Lovely memories! Die Schuhe sehen aus wie die tollsten Vintage-Booties! Gibt es die aktuell bei Deichman? Ja die gibt's noch beim Deichmann + supergünstig!!! 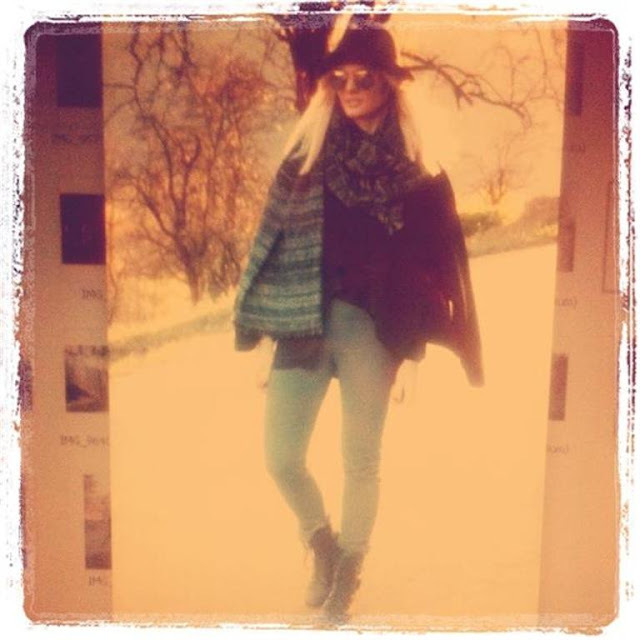 very nice outfit post, i am searching for a hat like that for the winter. My ears get so cold waiting for the train every morning! Craving winter after seeing your pictures! Good luck with that chaotic week, pretty sure you'll rock it! ich liebe deinen schal süße!